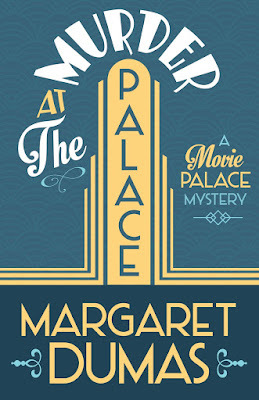 When Nora Paige's movie-star husband leaves her for his latest co-star, she flees Hollywood to take refuge in San Francisco at the Palace, an historic movie theater that shows the classic films she loves. There she finds a band of misfit film buffs who care about movies (almost) as much as she does. Oh, and then there's Trixie, the lively ghost of a 1930's usherette who appears only to Nora and has a lot to catch up on. 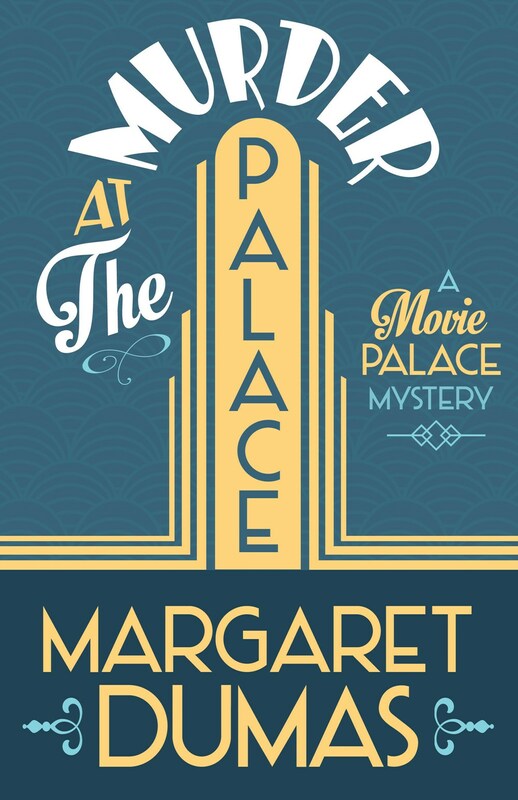 With the help of her new ghostly friend, can Nora catch the killer before there's another murder at the Palace? First off, I'm going to state that I am a huge classic film fan. There isn't one I haven't seen, I own thousands of them myself, hundreds of biographies of actors from silent film right through the Golden Age of Hollywood (including those on directors, producers, studios and genres). I don't even watch newer films (aside from Christmas TV flicks) and haven't been to the theater in years. They just don't compare in either quality nor acting. (Oh, to have another Humphrey Bogart!) In fact, when I first read the list that Kate had left behind - Win, M, Lace, Sorry, Gas - I knew exactly what it was and its meaning. Therefore, I was able to piece everything together easily. Having said that (as a heads up, of course) I was excited to read this book. Anyone who's a classic film buff would feel the same as I do, if only to read the many references strewn about. And trust me, there are many. When Nora Paige's marriage implodes she finds herself at a loss. What is the ex-wife of a famous actor to do, when her life has been centered on her husband? As his unpaid manager and I-know-where-everything-is-and-what-to-do-about-that person, she's at odds and ends and feeling pretty sorry for herself. 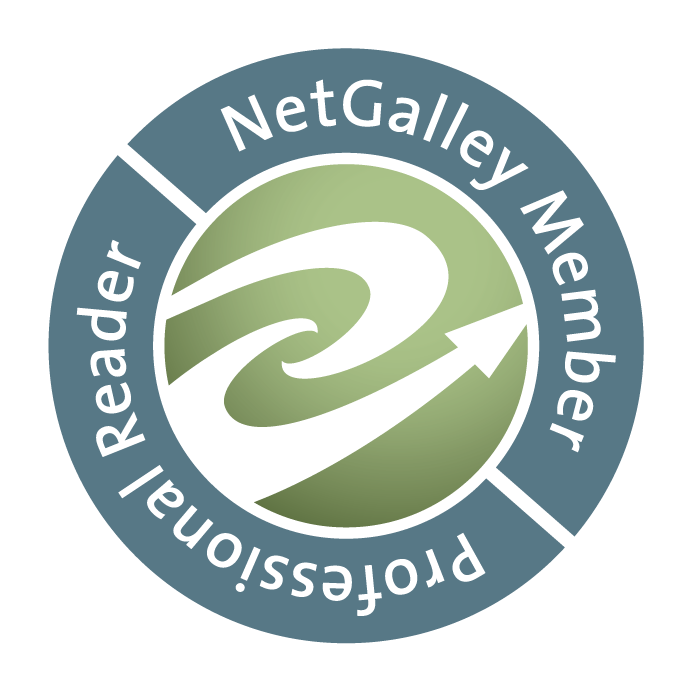 Luckily, she has a best friend who knows exactly what to do: She installs Nora as manager of her San Francisco classic movie theater, whose last manager, Kate, was killed in a tragic accident. But while Nora is willing to take over, and most of the employees are fine with having her, the projectionist isn't. Marty is a big guy who thinks he should have been manager, that because he loves the theater and knows more than anyone about classic film, he was the logical choice. What Marty doesn't know is that Kate probably has a greater knowledge than him, and she's not letting on, which keeps him at arm's length. But when Nora goes to get ice in the basement since their upstairs ice maker isn't working, she comes across something frozen that doesn't belong there: a body of a man. When it appears that he died around the same time as Kate, Nora gets as suspicious as Marty that Kate's death might not have been an accident. The dead man is identified as Raul Acosta, but his connection to Kate isn't apparent. It's also apparent - at least to Nora and Marty - that this was no accident. Then there actually is an accident - Nora, trying to fix a light fixture, gets hit by it instead and blacks out. Unfortunately (or fortunately, depending upon how you look at it) when she wakens, not only is she surrounded by employees, but by one she's never seen - a young woman in an usher's costume. When the woman tells Nora her name is Trixie and that she's a ghost, Nora resists until she's given evidence that she can't refute, even if she still doesn't want to believe it. Then a man shows up insisting that he was working on a film festival with Kate, Nora needs to figure out if he's telling the truth; Raul's brother shows up telling her he wants to find out who killed Raul, Kate's best friend Monica is definitely mysterious, and Nora is feeling overwhelmed. I have to tell you that I absolutely loved this book. I will also tell you - for those who aren't movie buffs - that there are a lot of film references, so you may find yourself heading to the nearest computer to look everything up (I do suggest watching the films, though; you'll enjoy yourself immensely and see what real films are). The mystery is tight and the writing done well, the story line is plausible and the characters likable. Marty was a hoot; even though he's anti-social, he loves the old theater and everything that comes with it, and you can tell that even though he's not happy he wasn't chosen manager, he's beginning to like Nora. Nora is a solid character, and her personal insecurities make her a real person. While I think (and hope) she'll grow a real backbone, she manages to keep her own within the story line, and that's important. I do like Trixie; she gives just enough paranormal without going over the top, and seems a little unsure of herself every now and then. The other characters fall into place exactly where they're supposed to, and the enigmatic Hector Acosta is quite an intriguing character who has more facets than a diamond. I look forward to seeing more of him in future books. There were plenty of red herrings in the story and it even seemed like a scavenger hunt at times, which made for part of the fun of it. Weaving classic film plots with the search for the reason for Kate and Raul's death seemed not only natural, it was delightful to follow and made me almost wish I was right along with the rest of them, offering up my opinions on what everyone was looking for. The only thing I didn't understand is why Nora didn't share with Marty the fact that she knew so much about classic film. If she had, he might have seen a kindred soul in her, and it really didn't make sense that she didn't. In the end, Kate's resolution of the problem was most ingenious indeed, and I loved every minute of it. There was only one thing I didn't care for, and while I won't state what exactly it was as it is too much of a spoiler, (it's a personal peeve I have). Anyway, aside from this, I can't state enough how much I was captivated by this book and hope to see more in the future. Highly recommended. Gia Morelli's life is starting to come together. After moving to Florida and opening a café she's managing to eke out a decent living, has made some good friends, and even started a relationship with Detective Hunter Quinn, who's acting captain of the local police force. Little does she know trouble is brewing: there's a heated mayoral race between Ron Parker and Mitch Anderson, and while it seems it's just another campaign, little does she know it goes far deeper than she or anyone else thinks. One morning her part-time waitress Willow is preparing to leave with her mother Skyla when two strangers enter the café for breakfast, and while leaving, the wife recognizes Skyla. She seems startled to see them, and though Gia wants to know why, she lets the subject drop. It's also apparent that Skyla dislikes Mitch Anderson, but won't say why, and no one presses the issue. However, Gia knows Skyla has things she's not saying, and she wonders why. The next day, Trevor Barnes, who owns an ice cream shop down the street and is one of Gia's best friends, enters the shop while as a ghost and in a panic. He insists there's a dead body in his walk-in freezer, and he doesn't know how it got there. When it's discovered that the dead man is Ron Parker, and that Trevor has a past with him, he's suspected of the murder. But Gia knows Trevor, and she knows he couldn't kill anyone. While she thinks the police aren't looking hard enough, she wants to find out who wanted the man dead. She also wants to know why, after Ron's death, Skyla seems to have withdrawn into herself, but no one can get close enough to find out. This is the third book in the series, and a very good entry indeed. While I somehow missed the second book after having read the first, the author doesn't reference things that occurred, so you don't feel like you're missing things along the way. That being said, I liked the way the mystery was written. While the body is discovered almost immediately (as it should be), the clues are hidden well throughout, and pieces of the story are gleaned from each character involved, leading us to the truth. And what a truth it is; ugly, sad, and destruction of lives that never should have been. Unfortunately, such are the truths of life. 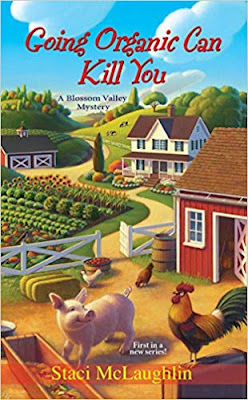 In this book, we learn a little bit more about Trevor and Harley's pasts and that of her friend Sybil who haunts the woods near Gia's home. It's things I don't believe anyone anticipated, but interesting nonetheless. We also have Gia and Hunt finding their way in their new-ish relationship, even if there are bumps in that path, and it's handled nicely and quite believable. With this new knowledge at hand, I fully expect the future books to be even more engaging. Needless to say, I enjoyed the story, including the various subplots woven within, and the fact that they didn't detract from the tale by unwarranted drama. There were plenty of twists and turns, and enough intrigue to keep you reading throughout in one sitting. When Gia finds out the truth of the matter (and we know she will) it all came together nicely and the ending was satisfying, giving us a hint of what is to come in future books while finding closure for some of the characters in this one. Recommended. Some say that casting crusty attorney Allen Sharpe as Scrooge in the Kindred Players production of "A Christmas Carol" is just playing to type. He's not the most beloved man in town. In fact, you'd have a dickens of a time finding someone who liked him. Still it's a shock when the Ghost of Christmas Past stabs him during the first rehearsal. 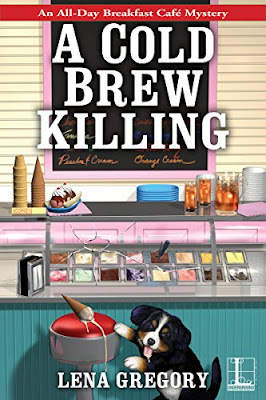 Suzanne, co-owner of the Cackleberry Club Café, Kindred's favorite combination diner, craft store and bookshop, chases the murderer out of the building and loses him in the alley. Suzanne, co-owner of the Cackleberry Club Café, in Kindred, Minnesota, is part of a theater group putting on A Christmas Carol. But when their Scrooge - attorney Allen Sharpe - is murdered by the Ghost of Christmas Past (or someone pretending to be so), it's a race to find a murderer that no one has seen. When she's later approached by a young woman named Amber who's asking for help, she's surprised. It seems Suzanne's friend has sent Amber to her because she's the one that Sheriff Doogie has in mind for the murder, but Amber insists she's innocent. 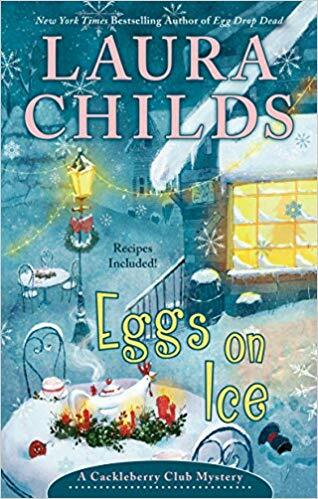 This is the eighth book in the Cackleberry Club Mysteries, so there isn't a lot of background on the characters for those who haven't read the previous in the series, but there is enough explanation as the book progresses that it shouldn't leave anyone in the dark, either. While I knew the identity of the killer early on I was interested to find out how Suzanne would come to the same conclusion. The clues weren't overt, but they weren't hidden, either. There wasn't tons of action involved, it was basically Suzanne going about her daily life and asking questions in the process. She's not invasive, and is never get-up-in-your-face about it, which I enjoyed. She does have her own ideas about the killer and several suspects, yet when she tries to veer away from Doogie's insistence that Amber might very well be the killer, something sort of pulls her back in that direction, which confuses her. Add to this the fact that Toni's almost-ex-husband Junior has had his trailer blown up and now he's temporarily living with her; while he's pretty much a neer-do-well with the brains of a squirrel (and I'm giving him too much credit here as squirrels can be intelligent), but his heart is always in the right place. It's an interesting subplot. There was also a few things that seemed odd at best - a fashion show at a Christmas tea? Who would do that? What about women who don't care for fashion (like myself) but would rather just have a nice tea - I would find it out of place and distracting from what is supposed to be a seasonal event. In the end, there was a bit of suspenseful action which was nice, and it gave the tale a little oomph that was needed. When all came together I felt that it was rather pat, since we weren't given any explanation of why things happened the way they did; and I would have liked to have an extra chapter to explain everything; it felt rushed to me (I have put the major spoiler on Goodreads where it is hidden; I did not feel the need to also put it here). All in all, a decent entry in the series. Recommended.